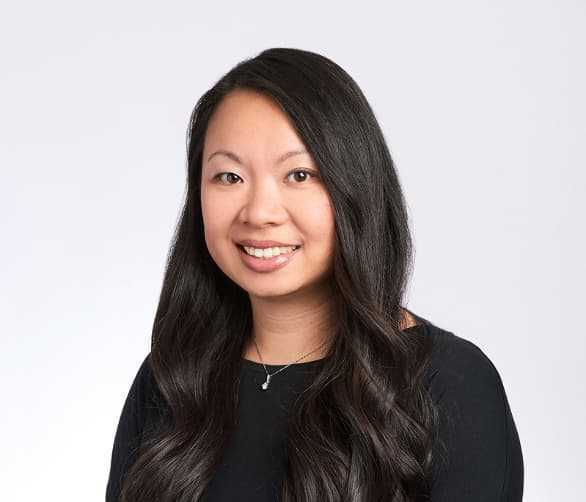 Angie Trinh | Bridgepoint Financial Services Inc.
Angie was one of the first BridgePoint employees having been hired in 2007 as Associate, General Administration. Throughout the course of Angie’s tenure with BridgePoint she has been responsible for the rapid internal growth and the management of the administration as Office Manager and operations team as Loan Operations Manager. Currently Angie is Manager, Human Resources & Organizational Effectiveness and is instrumental in creating the administration processes and systems in place to ensure that our clients and employees are experiencing the highest level of satisfaction possible. Prior to joining BridgePoint she had over ten years experience as an administrator in the legal field having worked at a prominent Bay Street law firm as a legal assistant. She graduated from York University with a Bachelor of Arts (Honours) degree in law and psychology. In her spare time Angie enjoys taking HR courses and spending quality time with her family.